Electric and hydrogen-powered vehicles, coupled with advanced autonomous systems, are shaping the future of passenger transportation. These technologies will define daily commuting experience to be more sustainable, clean, and safe. If there’s one problem autonomous EVs aren’t excepted from just yet, however, it’ll be heavy traffic. No matter how clean and safe your car is, if you find yourself in a traffic jam, well…you’re stuck — unless your car can fly or you’re traveling underground. Luckily, there are some that want to do just that. Everyone wants a flying car, ever since The Jetsons showed us that it’s an ideal mode of transportation for the family. Flying cars are no longer just in the realm of science fiction, though. A number of companies have been working on their versions of flying cars, and ride-hailing company Uber is only one of them. Uber wants to employ a network of flying taxis in Dallas, Texas and Dubai, UAE by 2020. This Uber Elevate project would use vertical take-off and landing (VTOL) vehicles to ferry passengers. 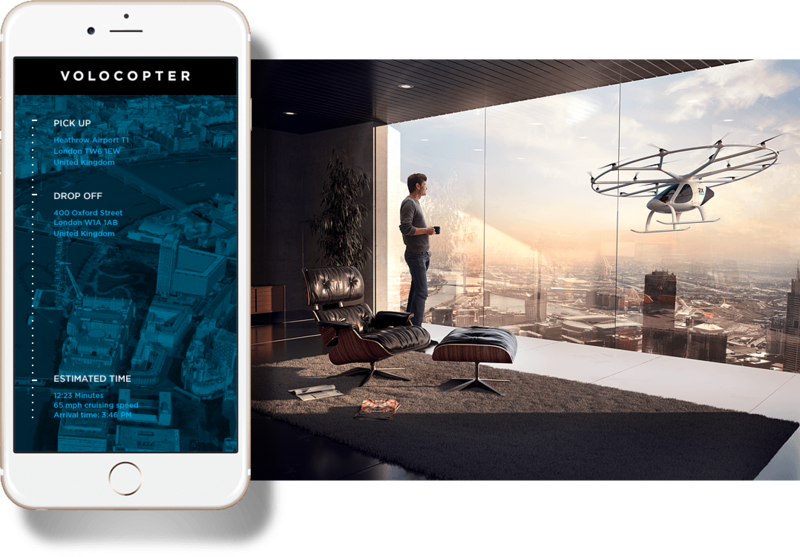 German startup Volocopter is also working with Dubai city officials for a similar project, with a test-run slated later this year. Google co-founder Larry Page has been rumored to be working on a flying car for some time. Well, back in April, a startup funded by Page called Kitty Hawk revealed its concept for an “all-electric aircraft” designed for traveling over water. It requires no license to operate, and the company says people can figure out how to operate one “in minutes.” A commercial version of this flyer is expected before the end of the year. If like serial entrepreneur Elon Musk you think flying cars won’t do the trick, there are a couple of ideas you might consider. Instead of going over congested roads, Musk suggests we go under. His tunnel-digging startup the Boring Company is doing just that, by building a unique transportation system that runs in underground tubes equipped with “electric sleds” designed to ferry vehicles and people. The Boring Company’s already dug a portion of its initial tunnel under Los Angeles, and it plans to continue digging. Speaking of tunnels and tubes, an idea that the Boring Company and a number of other startups are also exploring is the hyperloop. Among all these futuristic transportation concepts, the hyperloop has probably generated the most buzz in the last couple of years. This super-fast transport is somewhat like the train of the future — capable of cutting hours of travel down to mere minutes. Plans for a hyperloop are in the works in several states of the U.S., Canada, and in Europe, Dubai, India, and South Korea. It’s been said that the more unnoticed the medium, the more effective communication becomes. Travelling can be fun, but no one likes to be constantly interrupted by the stop-and-go repetition of congested traffic, and the unreliable (im)patience of mutually-frustrated peers. As globalization cements the anthropocene, the quicker and easier it is for humans to traverse the distances between one another, the more effective we can be at carrying our civilization into the 21st century.